Early retirement seems like the dream — but how exactly do you get there? Check out this great system for tackling your early retirement goals. Early retirement represents a Rich Life for many — a time when you can relax, not worry about work, and focus on the things that really matter to you. But getting there isn’t easy. Here’s how much you’ll need to save based on your yearly expenses. Some people are able to retire in their 50s, 40s, or even 30s by hitting their savings number as soon as possible — but doing so takes dedication, focus, and the right systems. And while I don’t believe that you HAVE to retire early in order to live the life you want, I want to show you how to get there— if that’s what a Rich Life means to you. This is a no-BS guide to early retirement. There are no shortcuts or magic bullets to this. Just hard work. Once you’re finished, you’ll find that you’re going to be able to take advantage of retirement (whatever that means to you) earlier. How much you need to save is entirely contingent on how much you spend. This is important because this will be money that you’ll be relying on for the rest of your life (assuming you don’t have another income stream). Income. How much you make a year after tax. Expenses. How much you spend each year. This includes everything that you might possibly spend money on in the year including rent, utilities, groceries, clothes, insurance, gas, etc. When you want to retire. What is “early” for you? This is the timeline for your early retirement plans. How are you going to know how much to save each month if you don’t know exactly when you plan on retiring? NOTE: All these numbers are malleable. Life likes to occasionally throw a wrench into your plans and you won’t always make the same income or have the same expenses … and that’s completely fine. What matters is that you roll with the changes and adjust your plan accordingly — even if that means your retirement plans are pushed back a bit. If you’ve been reading this blog for a while, though, you’re a Top Performer — which means you’ve already implemented a few systems that allow you to know exactly how much you’ve been earning, spending, and investing. If you haven’t, that’s okay. 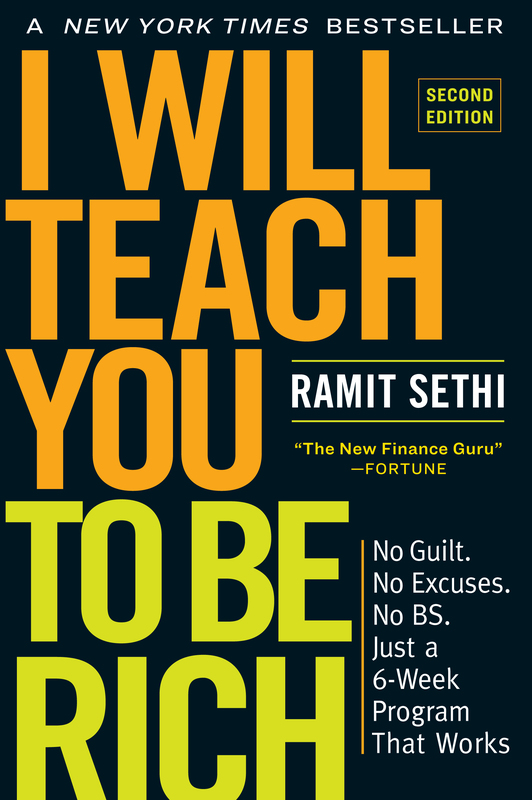 I suggest checking out my Ultimate Guide to Personal Finance to help you get started on this. Once you have all these numbers, you’ll be able to come up with a proper monthly savings rate. This is the percentage of money you’ll be putting away each month in order to hit your yearly goal. Luckily, you don’t have to strain too hard with back-of-the-napkin math, as there are trillions of retirement calculators. This one is my favorite. It leverages The 4% Rule (aka the safe withdrawal rate). This helps you get the amount you’ll need in order to retire — allowing you to withdraw 4% of your savings each year without touching the principal. Play around with the calculator until you’ve come up with a savings and withdrawal rate that works for you. That’s why we’re going to help you with BOTH the savings and earning sides, by showing you exact systems to do both. Chances are, after entering your information in the retirement savings calculator, you’re going to want to make some adjustments to your expenses in order to save more each month. Luckily, I have a number of systems that can help you reach your savings goals. …in order to put away more money for retirement. It’s incredibly simple too. The system boils down to doing 3 things in order to negotiate your rates. This formula will change with each company that you call, but the framework will be the same. Check out my video on how to negotiate your bills for more on this topic. If you want even MORE negotiation strategies that can help you save thousands a year, here are a few of my articles on negotiating that’ll help you bring your expenses down fast. Often times we overspend on so many things we never actually use. This is especially true when it comes to things that require a monthly subscription. And this is money that can go towards our investments for early retirement. …and buy what you need a la carte. So instead of paying $8.99 a month for a Netflix subscription that you never have time to watch anyway, buy the movies or shows you want on Amazon and iTunes. Instead of getting another issue of The New Yorker sent to you and letting them pile up on your coffee table (and let’s be honest, you only have those there to impress your guests), buy the magazine when you want to from your local bookstore. Or, instead of dropping $10 a month on Spotify Premium, just buy the songs you really want on iTunes or Amazon. If, after about 2 months, you find yourself spending enough money on these items to justify the subscription, by all means pick it up again. If not, then you’ve saved. For more systems and tips on saving, be sure to check out “How to save money,” where I detail even more techniques for painlessly cutting expenses. Once you’ve cut your costs down to allow you to save enough each month, it’s time to grow your money. Now that you’ve freed up some expenses in order to save more, you need to put that money to work for you through smart investments. Invest in a mutual fund that tracks a low-cost, diversified index such as the S&P 500. Invest in a health savings account. But your priority will shift because traditional retirement accounts penalize you if you withdraw before the age of 59 ½, whereas a mutual fund through an individual brokerage account won’t. In order to purchase mutual funds, you have three options. Both your Roth IRA and 401k allow you to invest money into mutual funds. You should take advantage of this, but if you want to retire early you’ll likely need to do a bit more — because withdrawing early from a Roth IRA and 401k hits you with a sizeable penalty. Both of these places offer high quality index funds and have fantastic customer support teams who are ready to answer any questions you have regarding their funds. So sign up online for an investor’s/broker’s account now. Afterwards, find out what index funds they have and start investing. I suggest investing in the S&P 500. For Schwab, the symbol is SWPPX, and for Vanguard, it is VFINX. You can buy the fund just like a “normal” stock. Some funds allow you to create an in-house account wherein you can buy and sell funds offered by other firms — though you might run into extra fees if you decide to go this route. If you want more information on mutual funds, I’ve written up a primer all about mutual funds that’ll help you make a sound decision when purchasing one. Mutual funds are just one investment vehicle you should have for your early retirement strategy though. If you really want to take retiring early seriously, you need to get a health savings account. These accounts are an absolute must-have when it comes to early retirement. HSAs are savings accounts provided for people enrolled in high deductible health insurance plans. Plus they combine all the best parts of Roth IRAs and 401ks. How? Simple: You can contribute pre-tax income into the account and withdraw the money tax-free when you pay for qualified medical expenses. AND when you turn 65, you can withdraw the money without incurring any penalties. This makes HSAs a powerful, crucial tool when it comes to investing for early retirement. As of writing this, you can contribute $3,450/year for individuals and $6,850/year for families to an HSA. By maxing it out each year, individuals can effectively reduce their taxable income by $3,450. If you want to truly be able to invest more money into early retirement, the best way to do that would be through the incredibly powerful combination of saving AND earning more money. Download a FREE copy of the Ultimate Guide today by entering your name and email below — and get on your way to early retirement. Thank you David, point taken. Enormous idea Lesly! it is really going to lend a hand. Will plug out the form rapidly. Its good quality to hear that comfortable and links are unmoving the key elements of ranking. Thank you so a good deal Brian. I just scholarly a lot of new equipment here. Looking forward to more astounding article in 2018.